When buying loose diamonds, it is important to understand how they are evaluated. You can ensure the maximum value and quality of your selection by learning about the most important characteristics of a diamond – CARAT, COLOR, CLARITY, and CUT. The Four C’s of diamonds provides a simple overview to get you started. The scale begins with the letter D, representing colorless, and continues with increasing presence of color to the letter Z, or near-colorless. Each letter grade has a clearly defined range of color appearance. Diamonds are color-graded by comparing them to stones of known color under controlled lighting and precise viewing conditions. WHY DOES THE COLOR GRADING SYSTEM START AT D? Before the D-Z Color Grading Scale, a variety of other systems were loosely applied. These included letters of the alphabet (A, B and C, with multiple A’s for the best stones), Arabic (0, 1, 2, 3) and Roman (I, II, III) numerals, and descriptions such as “gem blue” or “blue white.” The result of all these grading systems was inconsistency and inaccuracy. Because the creators of the GIA Color Scale wanted to start fresh, without any association with earlier systems, they chose to start with the letter D—a letter grade normally not associated with top quality. HOW DID THE CLARITY SCALE COME ABOUT? In early 2005, GIA unveiled a diamond cut grading sysytem for standard round brilliants (only) in the D-to-Z color range. 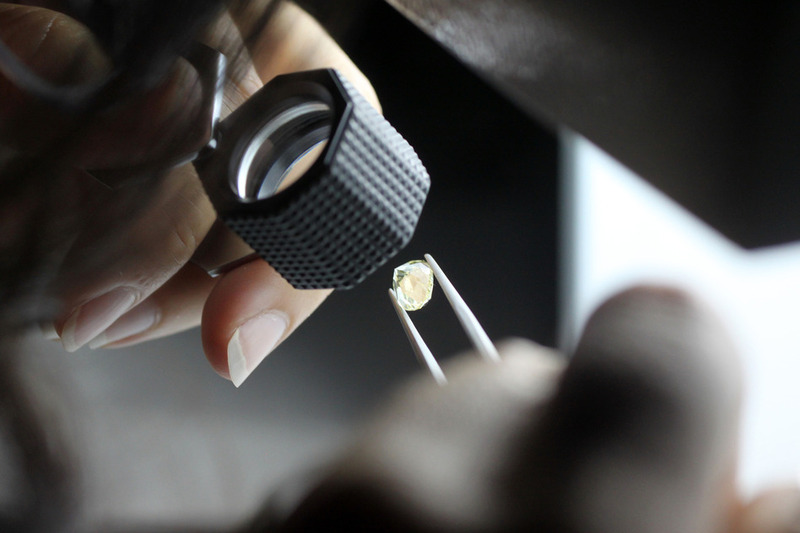 This system, the product of more than 15 years of intensive research and testing, assigns an overall diamond cut grade ranging from Excellent to Poor.